Learn how to do passes and rolls for building frontstyle speed combos. Passes and Rolls: Vol. 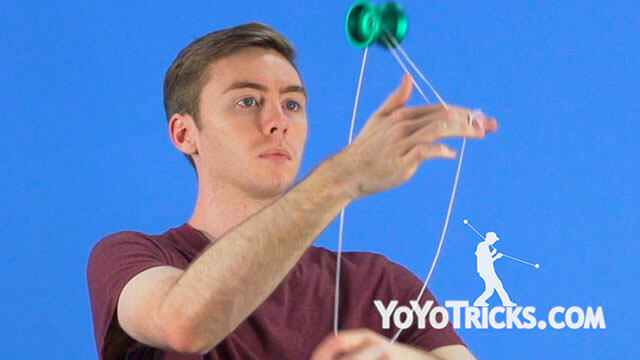 2 Frontstyle Speed Combo Series Yoyo TrickThis is the second video in the Frontstyle Speed Combo Tutorial Series where I will be teaching you the concept of passes and rolls. 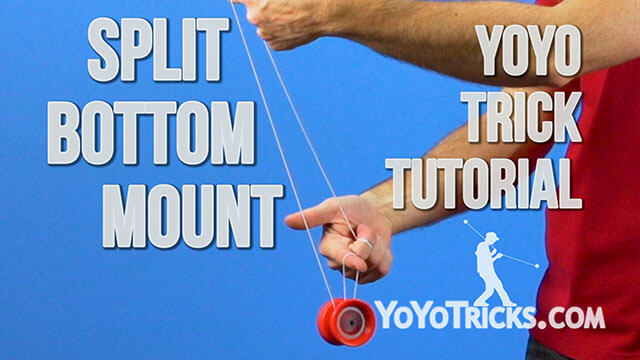 Now in the context of the Split Bottom Mount, a pass is when you take either hand and pass it underneath or above the yoyo. 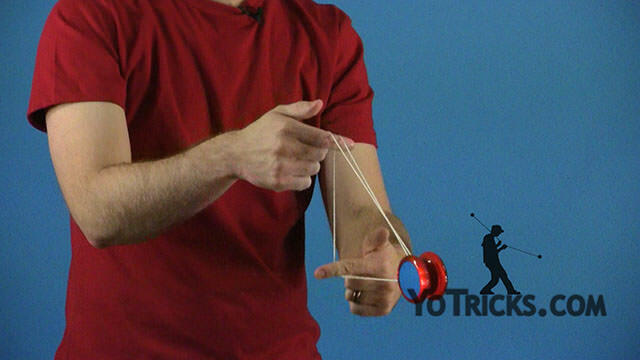 A roll is utilizing a pass to roll the yoyo over your throwhand creating a wrap on your finger to artificially shorten the string. Now, a really unique sequence of passes looks like this. 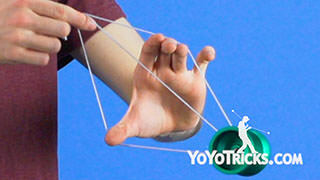 To do this, you are going to simply take the yoyo and pass it over your non throwhand. Then take your throwhand and pass it underneath the yoyo into the back like this. Then you will take your non throwhand, pass it underneath the yoyo. Then, take your throwhand and bring it in front over both the yoyo and your non throwhand. 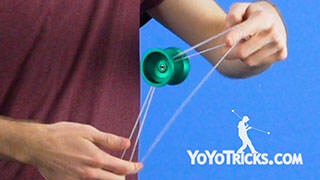 Then you will simply take your throwhand and pass it underneath the yoyo to land back into the split bottom mount. Now, this is a really cool way to keep doing unique transitions to smoothen your frontstyle. That way you can get to and from split bottom mount without creating any wraps. However, if you would like to shorten your string during your split bottom speed combo, the most basic way is to utilize the Barrel Roll. However, if you would like get multiple wraps in as effectively as possible, you can do modified barrel roll, where instead of just bringing the yoyo over your right index finger, you are going to take your non throwhand and keep rotating both the yoyo and your finger until you have reached the desired number of wraps. 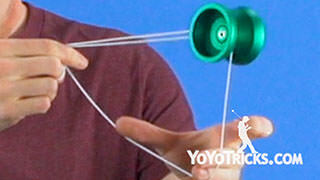 Then simply take your yoyo and pass it over your throwhand and you will see there are many many wraps now. This is a really great way to quickly shorten your string artificially. Now, another really easy way to go from split bottom mount into a split bottom mount just with a single wrap utilizing rolls looks like this. The best way to do this is to simply start in split bottom mount. 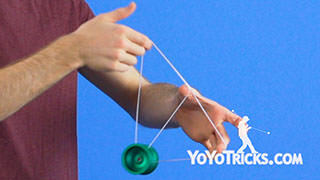 You will take the yoyo and pass it over your non throwhand. 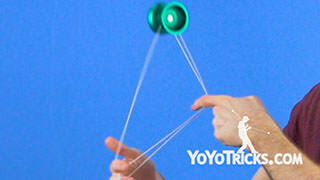 Then you will roll the yoyo into both strings over your non throwhand one more time. Then you are going to take your throwhand and you are going to bring it over both the yoyo and your non throwhand. Then underneath the yoyo. 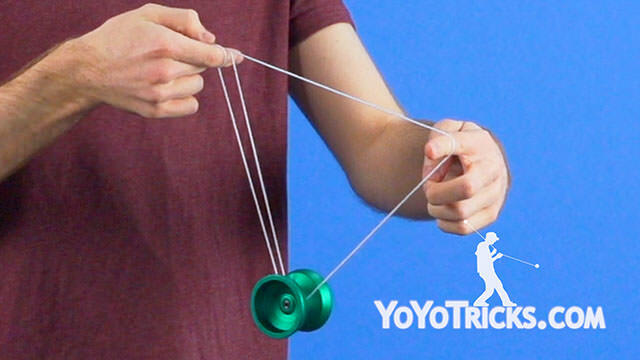 Then you will simply take your non throwhand and you are going to underpass it underneath the yoyo and land in a split bottom mount. You will see now there is this single wrap that is artificially shortening my string. Now, when you are practicing these concepts, make sure that you practice them slowly, because as you practice them slowly, you are going to develop a better smoothness for these tricks, and when you get these movements really smooth, you are ultimately going to make them faster. Now try combining these sequences into your own unique ways, and you will be well on your way to creating your ultimate frontstyle speed combo. This is the second video in the Frontstyle Speed Combo Tutorial Series… This is the second video in the Frontstyle Speed Combo Tutorial Series, where I will be teaching you… Oh My, I missed every trick, I am so sorry. Don’t judge me, Jake. “I’m not judging you, Cory, I have every faith that you will do this trick on the first try” I know, hehe.